This letter is accompanied by an editorial. Please see Can J Anesth 2018; 65: this issue. The online version of this article ( https://doi.org/10.1007/s12630-018-1132-0) contains supplementary material, which is available to authorized users. The laryngeal mask supraglottic airway (SGA) is commonly used in anesthesiology and is often lubricated for easy insertion. We studied sore throat (primary outcome), cough, and laryngospasm after insertion of the LMA® Classic™ (Teleflex Inc.; Morrisville, NC, USA) comparing three lubricating strategies: water-soluble medical lubricant (M) (Muko™; Source Medical, Mississauga ON, Canada) or 2% lidocaine jelly (L) (Lidodan™; Odan Laboratories, Montreal QC, Canada) vs no lubricant control (C). After institutional ethical approval,1 consenting American Society of Anesthesiologists physical status I-II adult patients having elective surgery where an LMA was planned were recruited. Those with asthma, sore throat, cough, or allergy to lidocaine or Muko were excluded. Participants were randomly assigned after anesthesia induction by opening an opaque envelope, prepared by the research pharmacist, that contained a 3-mL syringe with Muko, lidocaine jelly, or nothing, with instructions to apply the lubricant to the entire inflatable surface of the LMA. Patients, investigators, and other caregivers were blinded to group assignment. The anesthesiologist was blinded to the lubricants, but not to lubricant vs. controls. 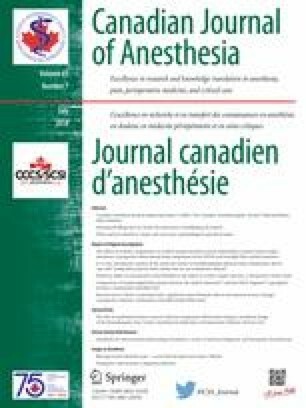 Anesthesia was induced with 1 ug·kg−1 fentanyl and propofol and maintained with sevoflurane in air-oxygen with additional fentanyl as needed (up to 4 µg·kg−1·hr−1). Antiemetics were given according to guidelines by Gan et al.1 Morphine was used in the postanesthetic care unit (PACU) as needed. Patients were assessed for coughing and laryngospasm as well as for sore throat in the PACU and on the first postoperative day. Continuous variables were compared using Kruskal-Wallis analysis of variance on ranks; categorical variables using Chi-squared. An intention-to-treat analysis was used, with removal of one patient from analysis whose surgery was cancelled and one where the pharmacy was unable to provide the envelope in time. Two hundred participants were recruited from 4 June 2004 to 28 February 2007 (see Table). Pain scores on day zero and day one were low and not different (Table). One participant in group M had severe throat pain (score = 4) in PACU; no one had severe throat pain on postoperative day 1. There was no significant difference in difficulty with LMA insertion. Laryngospasm on LMA removal occurred in two controls and once in each lubricated group. We were surprised to find no benefit of lubrication of an LMA. We are uncertain as to why, but speculate that first difficult insertion may increase mucosal trauma, and lubricants made no difference to ease of insertion as measured by number of attempts. Second, once in place, the LMA, with pressure spread over a wide area, produces little mucosal trauma. Literature on this issue is sparse; a pediatric study of LMA lubrication showed that lidocaine decreased coughing on emergence.4 A strength of the study is its pragmatic conduct during usual clinical practice. A weakness is the study of only one brand of SGA. While allergy or other complications of lubricating the LMA are rare, this study suggests that routine lubrication of the LMA provides no benefit and could be potentially abandoned. Trial registration was not available at the time, but the protocol and Research Ethics Board approval are available as online Electronic Supplementary Material. No author has any commercial or non-commercial affiliations other associations, such as consultancies, that are or may be perceived to be a conflict of interest with the work. Department of Anesthesia, University of Saskatchewan.